Fairness creams help protect your skin from the harmful effects of the sun, pollution, and other environmental factors. Finding the best lightening cream in India can be a challenge because there are many products on the market. Also, it’s important to find the best high-quality fairness creams because some inferior products can actually damage your skin. 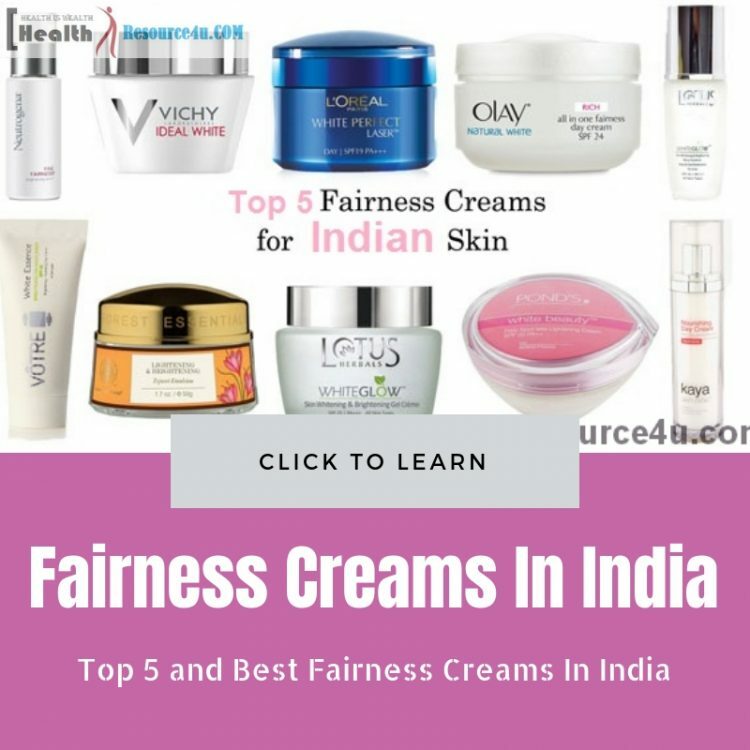 This review looks at the top 5 and best fairness creams in India to help you choose which the best product for you is. The review of creams to get fairer skin also examines the pros and cons of each product. The Bio Dandelion Ageless Lightening Serum from Biotique contains a mixture of natural ingredients. These help give your skin a lighter complexion. The serum contains extracts of dandelion and also contains vitamin E and nutmeg oil. The serum helps to remove dark circles and reduce puffiness around the eyes. Many people in India choose this product because it uses ayurvedic techniques to achieve lighter skin. 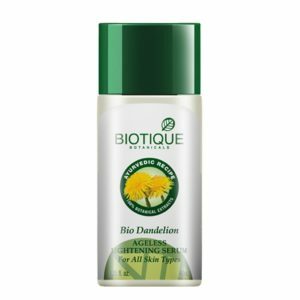 What are some of the reasons to buy Bio Dandelion Ageless Lightening Serum and what other factors should you consider? An effective serum to remove suntan and lighten the skin. This is a reasonably priced fairness cream which will also help to remove dark spots. 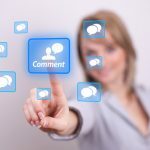 It constantly receives good reviews from users. It has a very natural smell to it which may or may not please some people. L’Oreal have produced a high-quality fairness cream that gives instant results. The White Perfect Laser Day Cream uses a formula containing 3 powerful whitening actives. These help to neutralize the production of melanin. The L’Oreal lightening cream can be used daily and provides hydration to your skin throughout the day. The cream also helps to remove dark patches on the skin and prevents pigmentation. What are the reasons to buy L’Oreal Paris White Perfect Laser Day Cream? You will see instant results. Not good if you have very oily skin. Comes in a tub, not a pump bottle which can be a bit messy and unhygienic. 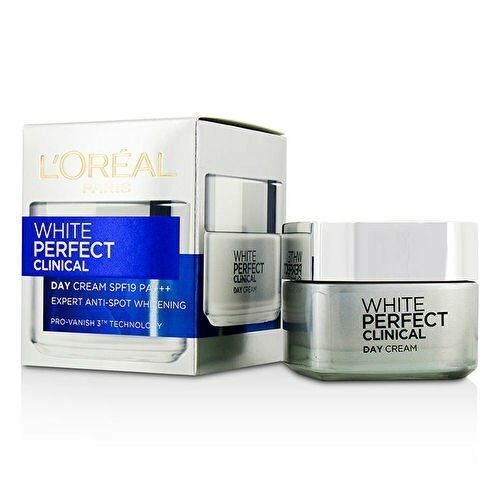 L’Oreal Paris White Perfect Laser Day cream is one of the most effective fairness creams on the market. It leaves a light finish on the skin, although it may not be the best option if you have very oily skin. 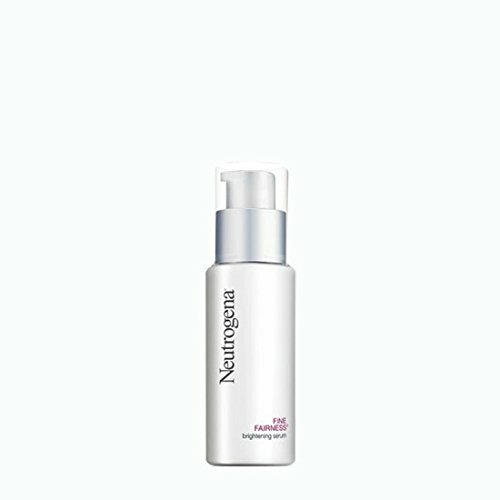 The Fine Fairness Serum from Neutrogena is a very light, non-greasy lightening serum. The serum penetrates deep into the skin to help lighten the look of dark spots. It also helps to visibly make the skin fairer and doesn’t clog pores. The serum contains a high amount of vitamin C which can help to keep you skin looking great and also reduces the harmful effect of the sun’s rays. If you have sensitive skin or acne prone skin, then the serum won’t cause any more irritation or breakouts thanks to its alcohol-free and oil-free formula. What are the pros and cons of Neutrogena Fine Fairness Serum? Comes in a pump bottle for ease of use. Doesn’t contain alcohol or oil. Doesn’t hydrate the skin very well. Although the Neutrogena Fine Fairness Serum is more expensive than some of the other fairness serums, it does a good job of lightening your skin. You will notice that your skin is whiter and fairer after a couple of weeks. Lotus Herbals have developed a very effective fairness gel combining liquorice and green tea. The Fairness Gel With Liquorice and Green Tea helps reduce pigmentation and thus lighten your skin. The gel is very light and applies easily to the skin and does a good job of moisturizing the skin. The gel’s light formula with natural ingredients means that it can help to reduce the appearance of acne, acne scars and dark spots on the skin. The addition of green tea extracts means that it will help to protect your skin from free radicals. 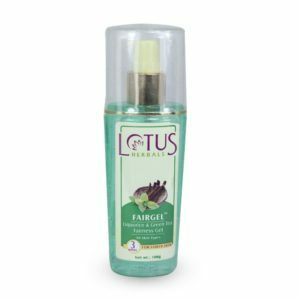 What make Fairness Gel With Liquorice and Green Tea from Lotus Herbals a good fairness cream to consider buying? Great for people with oily skin. Comes in a pump bottle making it easy to apply. The Lotus Herbals Fairness Gel With Liquorice and Green Tea is a nice product that contains natural ingredients to lighten your skin. Most reviews highly rate this fairness gel, although for some people it didn’t work so effectively. 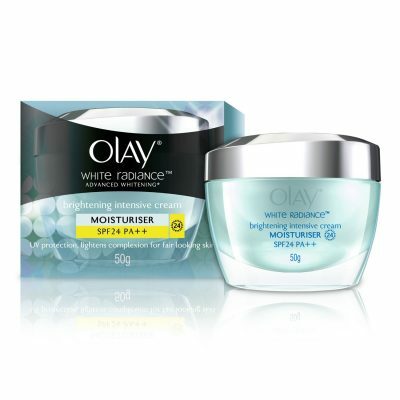 Olay is well-known for making high-quality beauty products, and their White Radiance Advanced Whitening Intensive Moisturiser is an excellent fairness cream. The special formula contains vitamin B3 and helps to lighten skin. The Advanced Whitening Intensive Moisturiser works to lighten dark spots that are already on the skin and the SPF 24 formula protects your skin from further pigmentation. The fairness cream also contains vitamins and natural extracts to keep your skin looking good. What makes Olay White Radiance Advanced Whitening Intensive Moisturiser worthy of being in the top 5 fairness creams in India? Nourishes the skin deep down. Helps to lighten acne scars and dark spots. Come in a tub which means it’s a bit messy to apply the cream. Even though this is a more expensive product than other fairness creams, the Olay White Radiance Advanced Whitening Intensive Moisturiser provides visible results very quickly. The fact that a little goes a long way actually means that you get value for money with this fairness cream. Love yourself and your beautiful brown skin. You don’t need this.